Our daughter Callista celebrated her 1st Eucharist this April. Three years ago I approached our oldest daughter to see if she would like a First Communion dress created for her from my wedding gown. She did not want any lace and so I waited. This year when our youngest celebrated her sacrament, she embraced the idea of having a dress created out of the dress her mom married her dad in. The project started with sketches. Once the design was clear the original wedding gown dress needed to be disassembled. 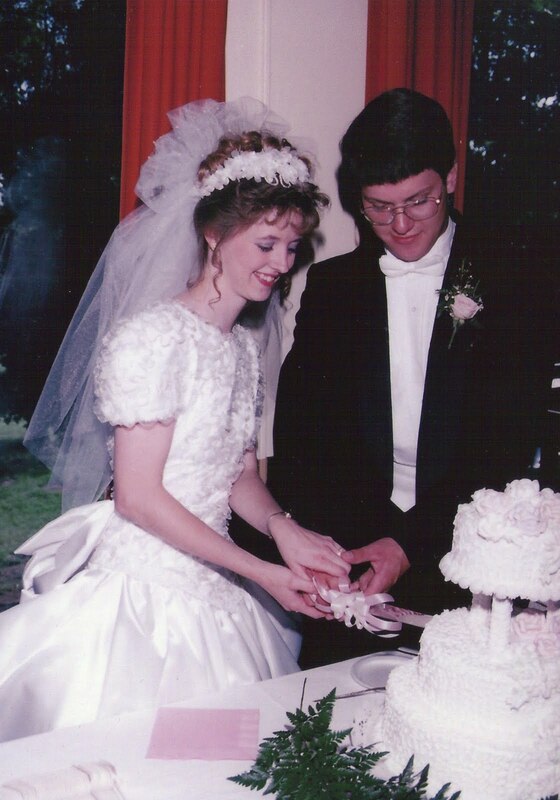 The original wedding gown was one I designed and created 19 years ago. A basic dress pattern was found, then a new the designed dress was sloped from the basic pattern. The sleeves were made fuller, darts and ribbon accents were added to the bodice. The skirt was box pleated instead of gathered and lining was added to the skirt so no slip was needed. The finished dress is more beautiful then I could have imagined. If you attend the Iowa State Fair this year please visit the Fabric and Threads exhibits to see the dress on display.